Well, I have always said that I will never turn down the opportunity to try something new. Boy, this assignment was well out of my comfort zone. As my family and I approached the Walton Raceway, signs were everywhere indicating the large scale draw that this event has. 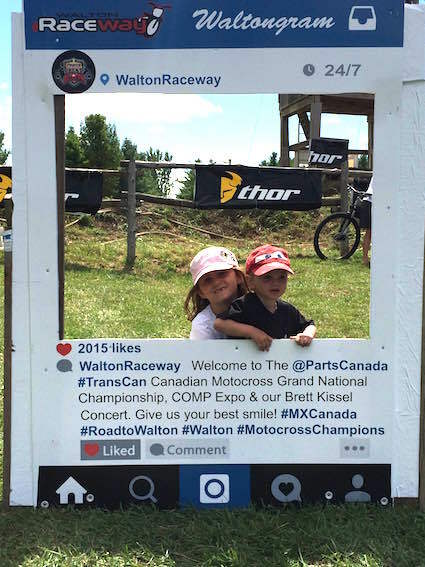 Once through the gate, we met people from all over Ontario, New Brunswick, British Columbia and Michigan who were here to participate either as competitors or as spectators; some of the friendliest bunch of motocross fans on the earth. Motocross was new to me. I have heard about it and understood a little about what would happen but had no clue as to how an event of this scope would be. Thank goodness we were handed a program that provided some background information and a schedule for the weeklong event. It was thrilling to watch riders as young as four and well into their 20s (and beyond) zooming down an almost three-km dirt track that included a bunch of sharp turns and jumps with the sounds of their cc engine echoing across the raceway. Dirt was flying as they cut the sharp turns on the track and, at times, ear protection was a good idea for my children. As we moved around the track area, we were greeting by so many helpful people (spectators, competitors, volunteers and paid employees) who could tell we were greenhorns and helped enlighten us to this intense sport. 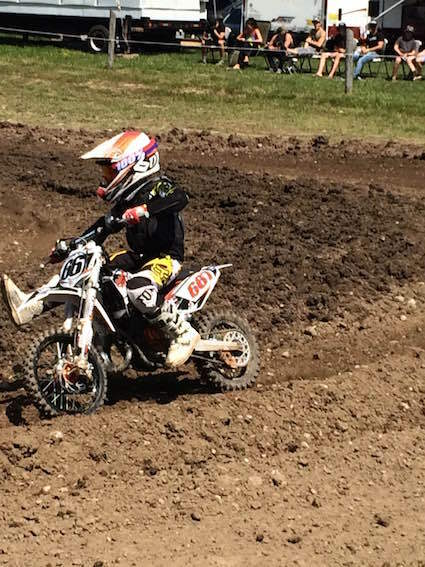 40cc, MX2 Jr B, VET jr, Supermini and Hot Lap are just some of the events that are happening at the Trans Can. As the week’s events were just getting under way, there were about 5,000-plus people there enjoying the excitement with us. That will explode to over 20,000 motocross people by the weekend. 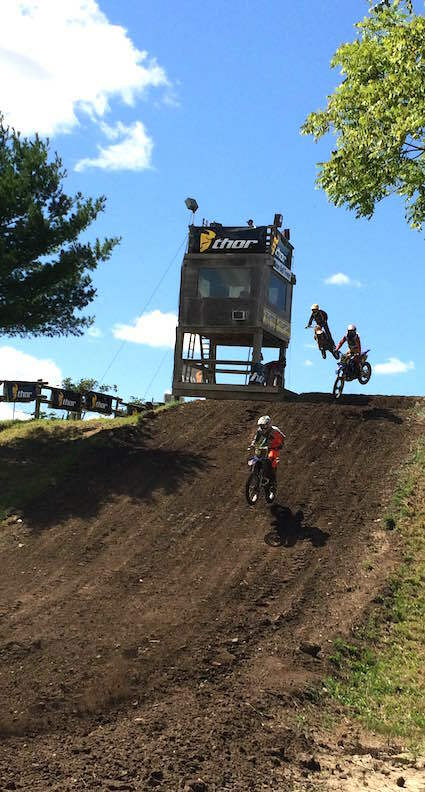 They will set up trailers and tents and camp out while enjoying and participating in Canada’s largest motocross event. Food vendors will be set up at various locations selling typical a variety of treats from local non-GMO beef burgers, sausages, spiral potato on a stick, funnel cakes and deep fried Mars bars and Reese’s peanut butter cups. I was lucky to have some inside tips about what to expect. I have been told that Friday, Saturday and Sunday are the best days to come as that is when the final events are starting and the pros are going to be there. Friday night is the party of the week with the Huron County Throwdown with Brett Kissel hitting the stage. Saturday is the amateur finals with the fan pit party and Sunday the pros are there. I already have my two-year-old asking for a dirt bike so he can go “fast, fast, faster!” We have some new motocross fans at our house.